"It is important that both sides of the body be harmoniously developed." "Sloyd may be regarded as a system of applied gymnastics, but only in this meaning, that the gymnastics shall be applied so far as is compatible with the maintenance of the proper educational character of this subject." Early educators believed that the mind and body were in fact a single form, and that to neglect the education of the body would be to neglect the mind as well. Jung, in his integration of conscious mind with the unconscious, used his own creativity in physical form to do so. Have you ever while being engaged in woodworking noted its gymnastic qualities? I have. Today I have been working on photos for an article for American Woodworker, describing how to make a dedicated finger-joint router table. Despite some challenges in getting just the right shots, from just the right angles, with just the right focus you can see that I've made progress and will be able to do my first test joints tomorrow. This, too is an expression of mind and body. Two of the hot new programs on TV are concerned with the subject of doomsday prep. The idea is that sooner or later, all of modern civilization will go to hell in a handbasket, and a few people are getting ready for the worst. "Doomsday Preppers" is a program on the National Geographic TV channel, and "Doomsday Bunkers" is on Discovery. One features the extremes folks can go to be "prepped" and the other focuses on their underground fortresses tricked out for self protection. Portions of both programs can be found on youtube.com. Preppers is about all the preparations these folks are taking. Some have exit routes planned for their great escapes from cities, some have food stored in massive bunkers to keep themselves fed for years in case of catastrophe. Nearly all have guns, lots and lots of guns. In the photo shown above, a "prepper" from the National Geographic series is shown with guns and dogs. 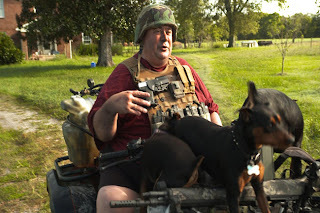 He grows his own food, has it stored by the ton, and with his dogs standing guard, will shoot anyone who tried to take it from him if the more likely heart attack didn't take him out first. In other words, some invest heavily in preparing for a future which may not come while neglecting to resolve real physical problems far more certain to cause an early demise. Human civilization has always been somewhat vulnerable. We can see clearly that there are problems on the horizon.We have had dramatic effect on the world's climate, and the world's population is expanding beyond the powers of the planet to provide. Are the preppers crazy or not? That seems to be the question that many viewers ask. We know that through self-talk or just listening too much to others without testing, we can convince ourselves of just about anything. "It is becoming more and more universally acknowledged, that in the elementary school the children are overburdened with continual reading lessons, which they have not had sufficient time to digest, and the result of which is a valueless memory knowledge. That the mind and the body are to be developed at the same time, is gradually coming to be more and more understood... we do not propose to make mechanics or physical workers of all our children; yet no one can tell the future of his child. In real life, everything rests upon an uncertain and ever changing basis." "Children of the best families, no matter how high their social position may be, will receive much benefit from an early training in physical work, as we constantly hear the complaint that they are too weak, and seek only the pleasures of life and its expensive diversions. They will learn for themselves that in corporal work there is more true satisfaction, and will prefer it as a refreshing pastime." Perhaps a bit more reasonable of heart and mind would be a project started at the University of Arkansas, and thousands of communities and neighborhoods throughout the US. A community garden. No guns, ammo or concrete bunkers required. Start a garden, make friends and learn survival skills at the same time. There is no better solution to tough times than having good friends who know how to do real stuff. We know that all academic disciplines are interconnected just as life in all its myriad parts is itself thoroughly, and inseparably entwined. We do, however, launch our children into isolated disciplines, isolated classes, treating diverse subjects as standalone distinct disciplines. We hold them accountable within those disciplines and fail to engage them in an understanding of the interconnectedness of all things. I have heard this called the "silo effect." It allows teachers to stand at the front of classes and perpetuate their own course of isolated study, and pretense of expertise. It allows administrators to divide, conquer and organize the structure of their schools, and it allows politicians to push or tweak what they think students should learn. But the total consequence, seen from the angle of development of the whole child is a disaster. Kids are kept from seeing the big picture and kept from seeing the full relevance of learning to their own lives. That, in my view is why kids sit at the back of the class, bored. It is why so many children, failing to see personal relevance to their educations, drop out, leaving their potentials unrevealed. There is a big push these days for what has been called STEM, an acronym which stands for Science, Technology, Engineering and Math. The idea is that these things are connected. You cannot come to a complete understanding of math without finding a use for it in science. You cannot understand chemistry, or engineering without having some well defined abilities in math. Randy Johnson, editor of American Woodworker Magazine told me about a conversation in which the concept of STEAM was mentioned. The idea was that the arts, too, are essential in the understanding of the interrelationship of all things. STEAM is an idea that originated with the Rhode Island School of Design, RISD. STEAM is a word that has power. It allows for the notions of artistic vision and craftsmanship and quality to be understood for the roles they play in driving society forward. I think we are onto something. 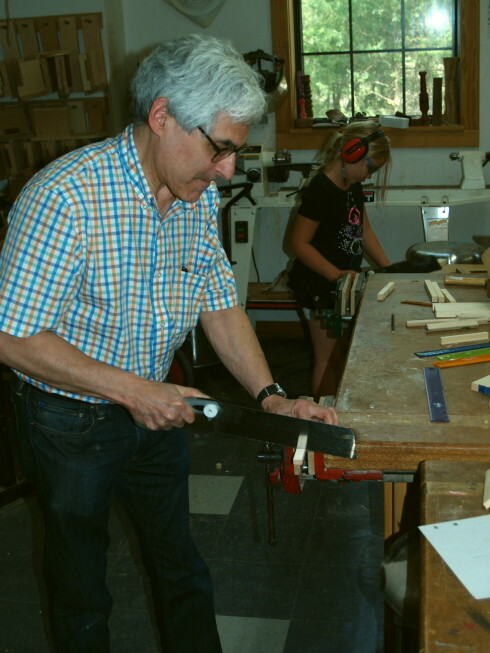 When we started the woodworking program at the Clear Spring School, the idea was to use wood shop as an integrating factor, illuminating the relationship between the core subjects. I had noticed that my own woodworking activities were not isolated. Nor were they irrelevant. I used math, science and technology as I engineered my work to reach the standards one might associate with art. Making beautiful and useful objects through the creative engagement of the hands can be the heart of the educational experience. This morning I met with the Clear Spring School 4th, 5th and 6th grade students to get them started designing covers for their hand crafted travel journals. This afternoon, I am taking photos for an article for American Woodworker Magazine. The first step is to take photos to check lighting. 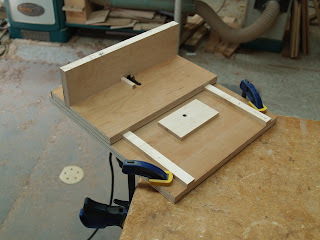 In the article I will be making a dedicated box joint router table. 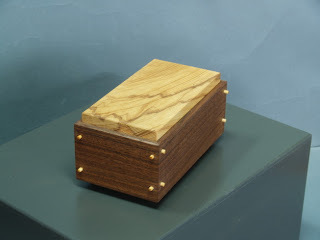 The objective is to make forming box joints so easy and directly accessible that a woodworker can step into his or her wood shop and have a finished box in an afternoon, or several boxes made using box joints during a weekend of work (fun). I learned that my summer class at Eliot School in Boston, co-sponsored by the North Bennet St. School is nearly full. If any of my readers are interested, now is the time to sign up. Check out the class here. Today the 1st, 2nd and 3rd grade students at CSS made Sloyd Trivets, inspired by Educational Sloyd. We also had a visit from Ed Miller whose project, Defending the Early Years, promotes play, and normal development for our nation's children. Ed is a friend of my friend, Frank Wilson, author of the Hand, How its use shapes the brain, language and human culture, so we had a lot to share with each other. Ed had planned to be with us for a kid's class and he, too got to work with wood. "It is becoming more and more universally acknowledged, that in the elementary school the children are overburdened with continual reading lessons, which they have not had sufficient time to digest, and the result of which is a valueless memory knowledge. That the mind and the body are to be developed at the same time, is gradually coming to be more and more understood... we do not propose to make mechanics or physical workers of all our children; yet no one can tell the future of his child. In real life, everything rests upon an uncertain and ever changing basis... "
Rudenschöld was a member of the Swedish nobility, a count. His grandfather had been a cabinet minister and his father a chamberlain to the king. He died before Otto Salomon became directly involved in promoting Educational Sloyd, but had been a correspondent of Uno Cygnaeus as he began planning the Finnish Folk Schools and inventing Sloyd as an educational method for all children. One of the things that Ed and I discussed today, is that while technology has changed dramatically, the patterns and sequences of child development have not. It is worthwhile considering the observations of early educators, even as far back as the 17th century, as most of their observations will be as true today as they were then. "...big corporations are...adept at manipulating the rhetoric of sustainability... But craft does have a special advantage. In the effort to promote more self-aware ways of living, the simple act of making by hand signifies direct engagement with an object, and therefore a degree of personal responsibility." In other words, being green is not just something that we ask of our nation's corporations as a marketing strategy, but a responsibility we take in our own hands and that we learn through crafting objects of useful beauty. In this week's Time Magazine, Joel Stein presents a study showing that despite what we may have been led to believe, "Generation Y" is less green in real terms and in actual fact than the Baby Boom generation that seems to have made such a mess of things. Stein, noted for his wit states: "Turns out Gen Y is as green as an oil spill." Stein's article, It's not easy being green can be read here. There is a direct connection between the making of things, an understanding of the materiality of our small planet, the origins of ideas, and an understanding of the interconnectedness of all things. If we've had children untrained in the making of things, they may be also missing the values that are imparted through craftsmanship. On a different subject, Joe Youcha's Building Boats to Teach Math project is leaping ahead and has morphed into theTeaching With Small Boats Alliance. Check out the conference that is coming up on April 27, 28 and 29. I get requests from readers concerning what books I recommend for woodworking with kids. A favorite is out of print, and was published in the early 1980's by Richard Starr, Woodworking with Kids. Fortunately, it is still available as a used book from Bookfinder.com. Copies at the moment are cheap. Among other things of interest, blog reader, Karin suggested that readers might be interested in Sir David Lindley. Even though of British royal descent, he received the kind of education we believe all children should have. 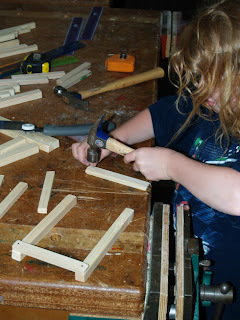 He was encouraged by his parents to take things apart, explore materials, particularly wood, and make things. You can read about him, his company and furniture making at this link, or read about his position in relation to the kings and queens of England on Wikipedia. "If a career in making with ones own hands is good enough for the royal family in the UK it could not possibly be considered a profession only suitable for the working class Joe." As they say in Parliament, "hear, hear." For some reason this morning, my mind has been stuck on the subject of lifelong learning, which along with "hands-on, hearts engaged" is part of the educational mission at the Clear Spring School. In rooting around in the blog, I found this earlier post on lifelong kindergarten at MIT. Sadly, we think that learning is a school thing, but one of our most innate human characteristics is to take satisfaction in learning. One thing we learn is school is that some of us are judged better at some things than others, and we are encouraged to do and learn the easy things, not the hard things we are adjudged less capable of learning, and we are thus steered into areas of non-learning, where we get by through being mindlessly engaged. When it comes to hands-on learning, whether in basketball, wood shop, math, art or physics, we learn that there are no limits to what we can learn. Training the hands as well as the heart and mind provide learning security... where the hands are intelligently engaged, a positive attitude toward learning does not end upon graduation. American Woodworker put out a video, about marketing shop classes. I found the video to be rather bothering and somewhat off-putting in that it was too full of hyperbole, bragging and bravado. I have posted it here as I am curious what my readers think about the program. Is this the direction that marketing woodworking programs should proceed? 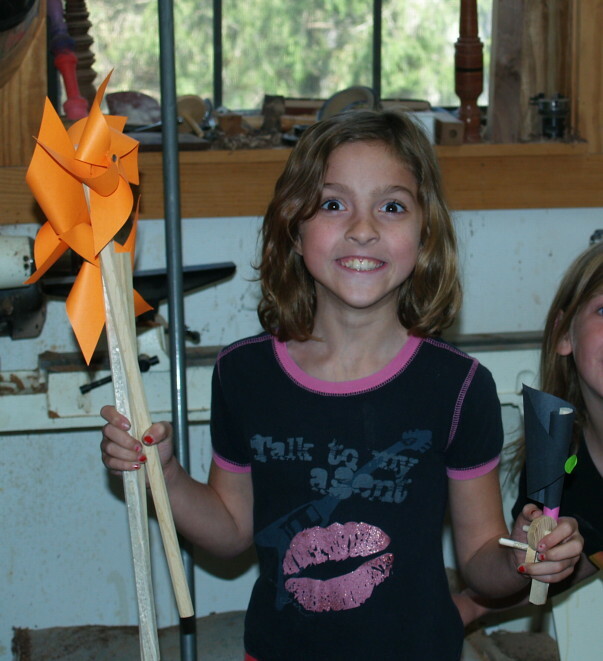 I certainly agree that woodworking has an important role to play in our children's education. But should the idea of woodshop be to set up assembly lines, making things to sell for program profits? Does it have a few more important things to offer? What is the most appropriate means of determining program success? As far as lifelong learning goes, working with wood is the best. Following my table saw injury, I decided to make a new, safer push stick for ripping thin strips of wood, or for resawing thicker stock for making box sides. You can see the results in the images at left and below. A block of wood rides between the two sides of the fence, giving the push stick a secure position as it pushes the wood safely through the cut. The grip is simply made from one of my old push sticks, so it is a grip very comfortable to my hand, and keeps my hand a safe distance from the blade. This is fascinating. And it tells what kids need to be studying in school. I have been working on an outline of a book about hands-on learning which I've submitted to a New York agent, so I've had less time for the blog. Please go ahead on your own, make my day. The great ignorance of our nation is that we have undervalued hand skills, and failed to offer full dignity to those who've developed them. "[Jobs] insisted there be only two bathrooms in the entire Pixar studios, and that these would be in the central space. And of course this is very inconvenient. No one wants to have to walk 15 minutes to go to the bathroom. And yet Steve insisted that this is the one place everyone has to go every day. And now you can talk to people at Pixar and they all have their 'bathroom story.' They all talk about the great conversation they had while washing their hands." If Lehrer had just a bit more of a hand-centric view, he might have offered his readers even greater insight. Film maker Richard Burman is working on a documentary film, which he calls the Working Hands Project. He intends to produce three one-hour episodes, each paying homage to what the hands do in the creation of intelligence and to support human economy and creativity. You may note that one of the quotes rotating at the top of the page is from this blog. There is an important story here to be told and I wish Richard great success in his project. I had mentioned that I am sharing time with friends in a Carl Jung study group based on his Red Book. We had met on Saturdays for one month, but have elected to continue to meet once a month. You can't really study Jung at any depth without becoming engaged in a study of self, which involves exploration of dreams, lucid dreaming, and the creative unconscious. As a result of my hand injury, I found myself getting depressed and mentally impaired and became concerned that I was in some way losing my mental acuity. As my hand has become more useful to me, I have found the depression lifting and mental acuity returning. This certainly, to me, confirms observations made by Kelly Lambert (Lifting Depression) concerning the role of the hands in the alleviation of symptoms of depression. Now back to Jung. I awakened in the middle of the night having devised a test of my mental acuity... Einstein's theory of relativity. I am not strong enough on math to understand how he came up with his incredible formula, but from a point of lucid dreaming was able to grasp the implications. The hard part is to bring materials from a lucid dreaming state back into normal day to day consciousness, just as it can be sometimes difficult to remember one's dreams. It is certain that the collective unconscious contains at least a large portion of that intellect that is available to us. And while it may take some effort to retrieve it, some discussion the following morning with friends, and some followup research to ascertain the validity of what we have seen, schools that fail to utilize the advantages of the unconscious through the encouragement of personal creative engagement in making things of useful beauty are a waste of our most natural and significant resource, the minds of our children. While Jung proposed dreaming and fantasy as means to explore the unconscious mind, he recognized that personal and cooperative creativity were the most effective means to fully understand the nature of self. As was noted by the parent of one of my woodworking students: "In most classes, students learn about the world. 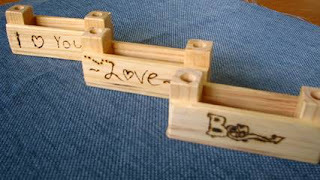 In wood shop they also learn about themselves." The same can be said about music, art, creative writing, planting of gardens, athletics, and so many of the less measurable things that have been pushed aside for the sake of standardized testing. Today I have been attending to my long neglected Etsy store. I've made a photo booth to make photography of small boxes effortless, and have been adding new box designs to the site. 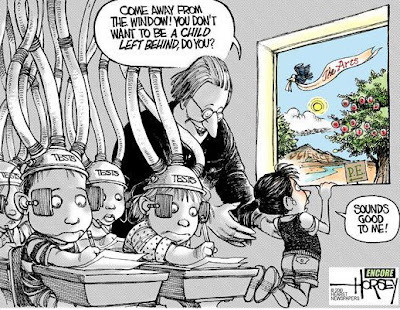 At the top is one of my favorite cartoons about American education. It's not really funny. A friend of mine has returned to college as an adult (50+) and described the experience compared to her earlier one as being "having the shades up." When you are fed materials and information without life experience to put things in context you see and absorb only a small proportion of what is offered. What is so hard for educators to understand about that? Today I am refinishing a Chiropractic table I'd made for a friend almost 30 years ago. I can see that in some ways my shades were open and in some closed, and it is good to be in the company of something made so long ago as a way of touching base with my own growth as a craftsman, my own early aspiring self. 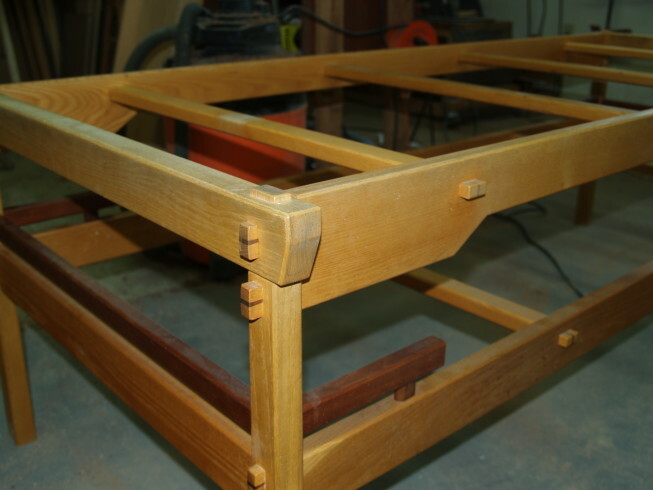 One point I made in the making of the table was the use of traditional joinery (wedged mortise and tenon joints) like what one would find in 100+ year old furniture in a museum. It might be no surprise to some that it worked. The joints are sound. I've had to scrape away a bit of chewing gum stuck on the underside, but the finish requires very little attention. That speaks to the care it has received over the years. One thing I do notice is that my earlier self was not as attentive to some of the finer marks of finish that I would now attend to. 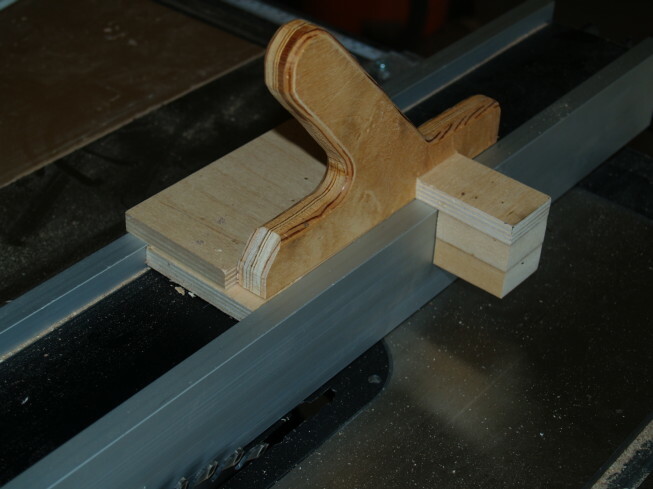 There are the small ripples formed by the jointer on the top edges of some of the rails. I would do better than that now. We think of schools as being the foundation for life, but in reality, schools are better when they find their own foundation in life. Children need to do real things that raise the shades and open their eyes to the full depth of learning that is offered both in and out of formal schooling. "Until we provide equal educational resources to all students and teachers, no matter where they come from, we can't say--with any scientific accuracy--how well or poorly they're performing. Perhaps if we start the conversation there things will start making a bit more sense." Johnson recalls a his former English teacher, Mrs. Leonard who repeatedly instructed him to "write what you know." He says it was a lesson he'd only recently come to fully understand. "She wasn't just teaching me about writing, by the way, but about being attentive to the details of my daily existence. It wasn't Mrs. Leonard's fault that 15 year old me couldn't process this lesson completely. She was planting seeds that wouldn't bear fruit in the short term. That's an important part of what we teachers do, and it's the sort of thing that doesn't show up on high-stakes testing." On another note, you might enjoy this earlier post about John Dewey and the engagement of the hands. 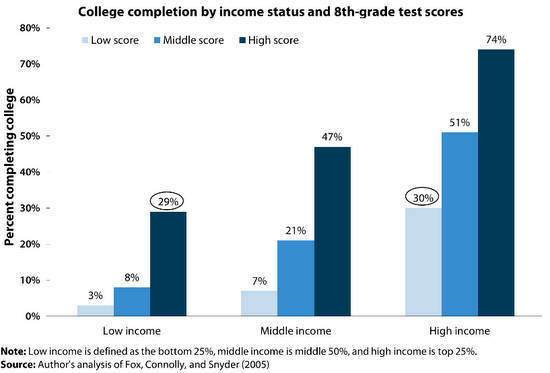 The chart below shows that regardless of merit and capability, many of our best, and brightest, those students with the greatest potential are not graduating from college. As Johnson suggested, a more level playing field is called for. Click on the chart to view it at a larger size. Iyer has been obsessing for the past decade about listening to what his hands do with the piano — the physical actions that he sees as part of the process of making his music. "To me, they're gestures, physical gestures," he says. "I hear the sweep of a hand in those shapes ... I'm interested in the interface between the hands and these abstract ideas." "The way we perceive rhythm is by imagining ourselves moving, or another body moving in the same way," he says. "There is really a primal connection between music and the body. We tend to think of music as something we come to — I think the real insight that this concept brings to us is that music is us." Iyer was heading for a life in science. He studied math and physics at Yale, got a masters in physics and was working on his Ph.D. at UC Berkeley. Then he realized his real love was music, and his Ph.D. turned into the study of music perception and cognition. You can listen to the the interview through the link above. American education seems designed to compete with the natural inclinations of the body, to move, stretch, engage in rhythm, but if we were to deliberately re-engage the bodies of our nation's youth, in schools, we would find their minds devoted too, in full measure. Bodies and hands in wood shop are much like fingers on the keys of the piano. We make sounds and gestures that are translated into wooden form. There are so many ways that children naturally express themselves, and express learning, and yet, we have become obsessed that they express their learning through standardized tests that are contrived for no purpose other than for administrators and politicians to control what happens in schools. Haven't we learned better than that yet? Learning is the child's most natural inclination and yet through our contrivances we've made that learning difficult and ineffective. There are many wonderful ways to get children engaged in doing real things. These object lessons don't require parental or teacher expertise. They do require the decision to take matters into one's own hands. Planting a garden is a great example. This is the season to do so. A bit of hand work, the thing is planted. Watering and weeding are required. But these things are opportunities for engagement, and draw the child into an understanding of their own power to do real things. I have been trying to clarify the difference between what has been called "integrated thematic instruction," and "project based learning," and I think that project based learning at its best is deeply rooted in doing real things, or solving real problems that have effect on the child's family, community, nation and planet. When CSS founded our high school in 2001, the idea was to use Integrated Thematic Instruction. The idea was that you can take a theme (not a project necessarily) and use it to develop and express competence in math, history, science, and all the various disciplines that are normally treated as isolated within schools and delegated to different departments, teachers and classes as though they are separate, even though they are not. None of us at the time were adequately trained in how to teach or plan an integrated thematic unit of study and the challenge of measuring and crediting achievement in math, science or even history was near impossible given the lack of training in the use of the method. This is an example of a unit of integrated themed instruction can be found here. But you can also see themed instruction happening most clearly in the lower grades at CSS. At the high school we gradually moved back to more conventional teaching and isolated disciplines and grading because we had to attempt to fit what we offered students to standard college acceptance models... grades, classes that conformed to requirements, ACT preparation, etc. But if we are looking at depth, rather than measured breadth of learning, and if we are focused on getting the students engaged as life-long learners, thematic instruction or project based learning is the way to go. Here is a link to a page on the benefits of integrated thematic instruction. It seems common for most independent schools, even progressive ones, to be much more like mainstream education when kids arrive at the upper grades due to the standards of college admission which require ACT, SAT, and grades. John Burroughs School, even though conceived as a progressive school does not really meet the progressive model at the high school level, and a friend of mine who went to a Waldorf School in California said that after 8th grade the character of the school changed completely turning much more like normal competitive grade based assessment and learning. The difference between themed instruction, and project based learning is kind of a vague line. My own interpretation of the difference is that project based learning is aimed toward real accomplishments, solving real problems that impact family, community, nation and planet. The following is what I wrote that was published as the opening words, chapter 1 of Matt Crawford's best selling book, Shop Class as Soulcraft. I have also been interested in finding the right balance between technology, and technological resources (including books) and hands on learning. The difference in German is that of Wissenschaft (second hand learning) and Kenntnis (direct experiential learning) Neither form of learning is enough by itself. "Use of networked technologies can enhance learning when students focus on solving authentic problems and address issues adults face in real-world settings (Cognition and Technology Group at Vanderbilt, 1997)." I think the preceeding statement is key. Khan Academy or any other form of technology including textbooks can be useful if we first set meaningful and engaging challenges to capture the interests of each child. Khan Academy is putting excellent lessons into the hands of kids, free of charge, and allowing teacher-mentors to monitor acquisition of the same kinds of knowledge that schools have become obsessed about. What are missing in that formula are the students' interest, confidence and ability to do anything with the acquired knowledge, along with a focus on steady advancement of skill. These require mentors, assessment of qualities of aesthetics and design beyond those that can easily fit a digital matrix. Just think of the difference between wissenschaft and kenntnis... It is one thing to learn about something by reading in a book, listening to a lecture, or watching a video and it is another matter entirely to learn from one's own mistakes and experience (kenntnis). The difference is one of depth. There is an old saying, "lose it or use it," and we each know from our own experience that those things lightly learned are quickly forgotten. We also each know from experience that those things deeply learned directly through hands-on experience will never be forgotten. As wonderful as the new technologies are, children need the opportunity to do with what they know in order to have a catalogue of problem solving experiences available in order to grow up to be amongst those who retain learning and discover themselves fully as lifelong learners. Most think the digital revolution will be enough to transform American education. It will not. Today I've been cleaning at school and in my home shop. In addition, I've lowered a chiro-practic table I made for a doctor friend 28 years ago. 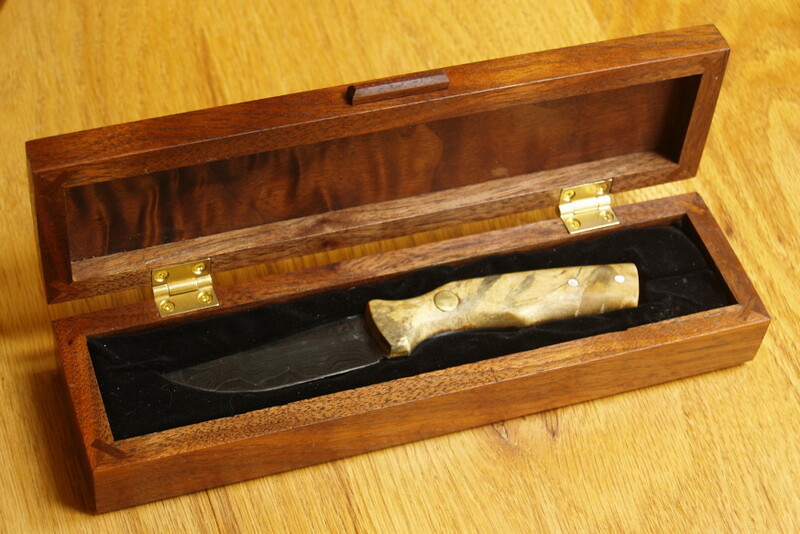 As you can see it is all made with wedged tenons. 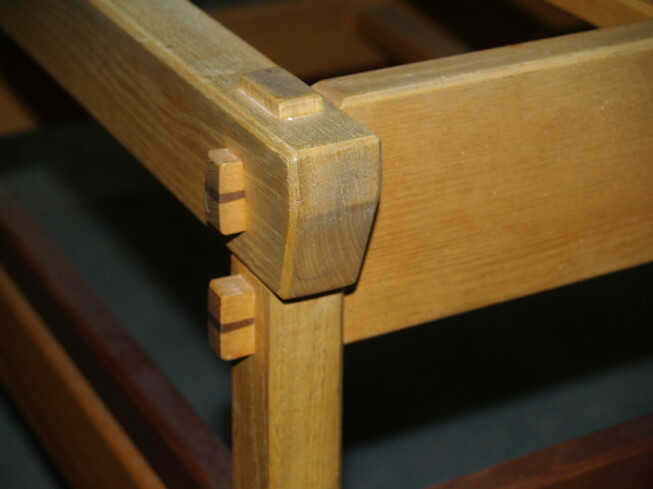 It squeaks a bit as the wedged tenons rub in their mortises, but has been well cared for while serving thousands of patients over the years. I've cut 1 1/2 inches from its overall height to make it more comfortable for the doctor to use. It will get a fresh coat of Danish oil before being returned to regular use. If you want something to last, choose joinery techniques that have served through the ages. This is all made with wedged tenon joints, as some of my readers may recognize from some of my more recent projects. Today in the CSS wood shop first second and third grade students will do Paper Sloyd exercises designed to expand their spatial sense and capacity to do accurate work in the wood shop. This afternoon I get the bulky bandages off my fingers and thumb and will be able to go more lightly bandaged and have greater use of my hands. I have been touched by the level of concern over my injury. It seems that many friends from throughout my community knew of my accident and expressed concern. Friends have told me that I've been in their prayers. Emotions are nearly always expressed in the language of the hands. Feeling, touching and being touched are the deepest expressions of our humanity. Even within the singular human being, the creative use of the hands has profound implications on the sense of self. Being hands-on engaged in the processes of life brings feelings of connectedness, wholeness, completeness, capability, power, control, value. And to be deprived of the full use of the hands for even a short time as I have been begins to have impact on the emotions, the powers of attention, focus and thought. One of the symptoms of depression is the loss of a sense of control within one's own life, and one of the most sure and certain means to regain that sense of control and sense of self is to be deeply engaged in hands-on expressions of our humanity. Of course woodworking is not the only way. There's gardening, music, cooking, crafts of all kinds and caring for the needs of others, young and old. And so you can imagine how it feels for me to be working my way back to work. The photo above is from my morning class. Students, too, were glad to be back in woodshop. This morning I got back to work with kids on a limited basis. I met with the high school students including those who were there when my table saw accident occurred so that I could explain the physics involved, why it happened, and why it will never happen again in my life. I wanted to make certain that they were each OK with what had happened. I also wanted to make certain they had an opportunity to voice their feelings, and that none felt any unreasonable fear. Table saws are certainly dangerous, but are not unpredictable. They operate according to Newtonian physics. Know the physics and you can be safe. So it was a good day in the wood shop. I know that at least one SawStop Saw will be in the school's future to offer an additional layer of security. Also this morning I met with the 4th, 5th and sixth grade students in their classroom to do bookmaking. As I mentioned, I hope bookmaking will become a more integrated exercise at CSS... one that can be done in the regular classroom at any occasion, and not requiring transportation to wood shop. Getting the core classroom teacher involved is key. Then finally, this afternoon, I had the 7th, 8th and 9th grade students here at the house for a clay firing and tour of my home wood shop. It felt good to be back working with the kids. Tomorrow I get my bulky bandages off and the doctor's report of significant progress. Readers have asked about how my accident happened, and I thought I would wait until I had photos to explain it. 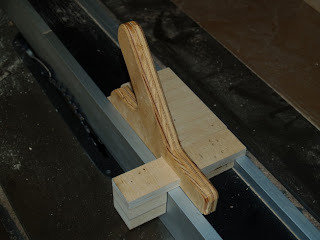 What you see in the first photo was the attempt to resaw cherry to obtain thinner stock. Unlike my usual practice of firmly gripping the wood on both sides, and with the blade safely buried in the stock, I used a push stick, thinking it would offer a safer approach. Unfortunately, the depth of the push stick did not equal the full thickness of the wood and the off-cut wood slid back as shown allowing my finger tips to come in contact with the side of the blade. 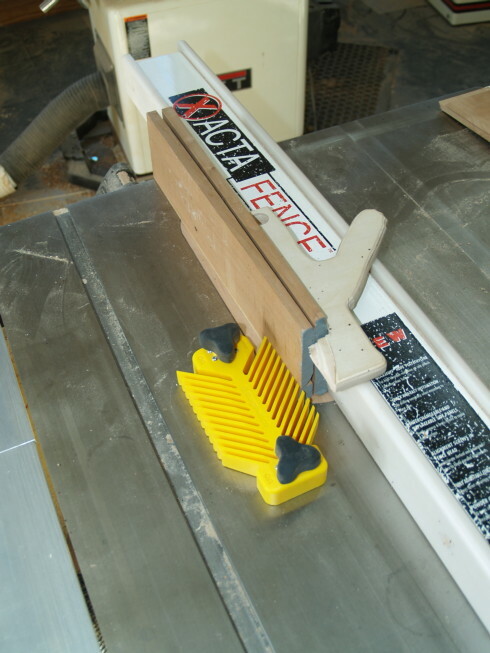 The use of the featherboard as shown in the next photo would have prevented the off-cut piece from sliding back, keeping my fingers from contacting the blade, as I learned from my first demonstration (before the accident). Featherboard and full depth push stick, greater safety! A good reason my injuries were not worse, is that my fingers came in contact with the side of the blade, with its opposite side shielded in the safely held wood. 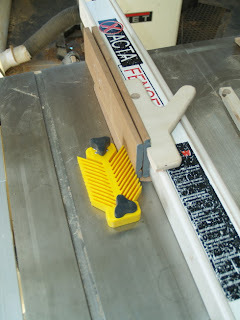 The final photo shows a push stick cut to fully engage both pieces of wood and a featherboard in place to guarantee safety. I plan to make a new special push stick that will ride in the space between the sides of the fence for even grater control in resawing wood. 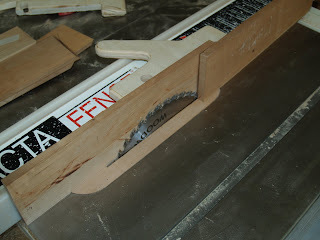 This operation can also be done safely on the bandsaw. 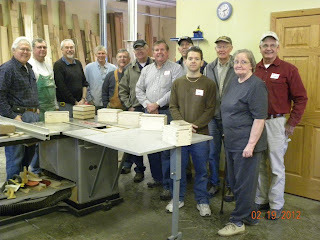 The photo above shows my box making class last month in Des Moines. I have been off work for two weeks due to my injury, and today managed to get back to the shop to do prep work for getting the kids back to work. I have been trying to start a tradition of book making at Clear Spring School so that kids can make their own travel journals prior to the start of spring travel school that takes them off into real world studies. Each year the books are refined, the method is improved, etc. My hope has been that bookmaking becomes a regular classroom activity over time, so this year the bookmaking will take place in the 4th, 5th and 6th grade classroom instead of the wood shop. Yesterday my wife and I attended a community musical talent show. It was a beautiful reminder of the value of the arts. We were pleased and impressed to see such talent from our own small county. There are educators who are constantly attending the bottom line, and then there are the arts (including woodshop) that allow children and students to arise to full human capacity. One thing was not to be missed. There were hands involved deeply in the making of it all. Even the vocal performers would not have been so infinitely expressive of emotion ha their hands been still. The Clear Spring Fling Auction last night was a tremendous success. There were more people than I had even seen before at a Clear Spring School fundraising event. The Rogue's Castle is an impressive place with a million dollar view over Table Rock Lake, and many local craftsmen were involved in its construction. The owner told me that he never understood the meaning and importance of algebra and mathematics before he became hands-on engaged in their practical use through construction. He said that his own experience building Rogue's Castle helped him understand the importance of the Clear Spring School's hands-on hearts engaged learning style. The original Latin root of the word educate was "to draw forth." The suggestion is that there is something present within the child that is to be released or expressed from within. We know that fostering creativity is important, and yet, traditional classroom methods take a severe toll on individual creativity and confidence. Traditional classroom teaching proposes singular correct answers in the minds of the students who are then tested to see if those singular answers have taken root. An alternate education that draws forth from the child unique expressions of creative and imaginative problem solving would not ask for uniform correct answers, but for solutions to be proposed and tested that are as diverse and numerous as are the students in the class. And so the challenge for education becomes that of establishing a method and model in which each child is individually engaged and offered the opportunity and encouragement to express from within as well as to learn from without. Charles H. Ham in his 1880s book Mind and Hand, had proposed that schools become workshops and laboratories in which ideas are explored and put to test through direct making of useful, and beautiful things. I have become even more excited about the Clear Spring School as we continue to move closer toward that more meaningful model for American education. According to MetLife's Survey of the American Teacher teacher satisfaction is at its lowest point since 1989, with just 44 percent of teachers reporting themselves to be very satisfied. The report found that the economy and economic inequality have a strong effect on schools, teachers and students. It seems American education is in need of a new model that recognizes the importance of teachers and engages them wholeheartedly in their work. I want to extend my congratulations and personal thanks to all those who worked so hard to make last night's Clear Spring Fling such a success. The Clear Spring School's annual art auction is this evening at Rogue's Castle just north of Eureka Springs at Beaver, AR. The Spring Fling is our largest fundraising event and this year promises to be the best yet. The location is one of the most interesting properties currently for sale in the US. You can click on the image above to see it in a larger size. 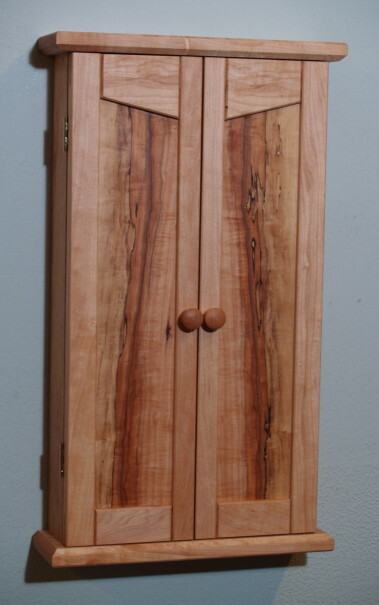 I will have two contributions up for sale, a small cabinet featured in my new Cabinet Making DVD and a knife and box collaboration with fellow Clear Spring School teacher, Jim Fliss. We buy new tools that allow us to do various operations with less skill and less risk. For example, a router template allows the craftsman to use a router to cut dovetails with less skill, greater speed and less attention than the use of a dovetail saw, measuring tools and chisels in the old fashioned way. In a sense, this could be viewed as a transfer of necessary expertise from the individual craftsman to the manufacturer. In most cases, original workmen originally created the method, and the manufacturers developed new tools to displace the necessary skill, to allow the worker to do the same work with less attention, greater speed and less skill. We see this all the time as woodworkers buy new tools that promise easy and fast. And yet it is fascinating that as human beings we are not only interested in making things easy for ourselves. There values to be found in doing things the hard way and allowing ourselves to be measured against real standards that signify the making of character and intellect. There is a natural inclination within each child to do things that are measurably difficult, that allow them to stack up in comparison to their peers and to discover themselves in a positive light. Does it surprise anyone that the tests that children would choose for themselves might not resemble the tests that we choose for them and that we use to sort their qualities and educational destinations? Given a chance, children will try to do real things. They know the difference between what is real and what has been contrived solely for educational purposes. Parents have taken on a practice they call "redshirting", holding back their sons from Kindergarten until the age 6 to assure a competitive advantage in school. The practice got its name from college athletics. Colleges often allow new recruits to practice with the team for one year without play, to allow them to develop greater strength, skill and maturity without effect on eligibility. The notion of redshirting was strengthened by Malcolm Gladwell's book Outliers, which noted that young hockey players born in January or February of the year were stronger, more mature and competitive than those born later in the cut off period for forming leagues. The recognition and greater attention given those players at an early age is just the beginning of a cumulative lifelong advantage in the professional leagues. The speculation among parents leading to redshirting their sons is that the same advantages of greater maturity extend far beyond the physical capabilities of their children having effect on academic performance and success as well. Given the design of modern American education, one cannot blame young mothers for gaming the system to give their own children a competitive advantage in schooling. Dr. Ann Densmore EdD in an article in Harvard Health pointed out that many parents are responding to the shift in what kindergarten has become. Dr. Densmore doesn’t believe that holding kids back from kindergarten entry is the total solution. It isn’t necessarily better to have kindergarten classes full of 6- and 7-year-olds. One way parents can help prepare their children is to ensure that there is adequate facilitated play in preschool. That means adults engaging with children during play to help them develop negotiation skills or to share complex ideas. “Research shows that play actually leads to improved academic skills. In this fast-track world, it may be hard to believe that play is critical for brain development, but it is. Play, which is really a child’s ‘work,’ contributes to cognitive, physical, social, and emotional growth. And it is the cornerstone of a child’s well-being,” Densmore told me. The National Association for the Education of Young Children offers lots of information about the benefits of play and how parents and teachers can help facilitate it. On the community level, Densmore encourages parents to take an active role. Parents should talk with teachers, principals, and other parents. Look for preschools with facilitated play as the center of their curriculum. Challenge school committees to reconsider whether standardized testing in the lower elementary grades is a good idea. Pressure to prepare kids for these tests starts as early as kindergarten. I was one of those children with a late birthday, being born in November and beginning Kindergarten at age 4. That starting age was a thing my mother frequently said that she regretted, because it was long known in education circles, even before the popularity of redshirting, that age and maturity at the start of kindergarten could be a significant factor in student success. But when it comes to our own kids, we do have a competitive advantage to offer them even without gaming the system. Regardless of what month our children are born, as parents or grandparents, we can infect them with our own creative passions at a level appropriate to their own developmental interests and abilities. The simple rules are as follows: Start with the interests of the child. Move gradually from the known to the unknown, from the easy to the more difficult, from the simple to the complex, and from the concrete to the abstract. What better place is there to put these principles in play than in our own woodshops? What follows is from an earlier post. I continue to heal, but my typing is not all that efficient yet. The huge question educators must resolve, is that if curiosity is innate, and essential to human survival why do we graduate such large numbers of disengaged individuals? My time healing has given some of us on the CSS staff to chart some new directions and put new plans in place. Curiosity is innate. Our species would not have evolved and survived without it. Confidence is not innate. 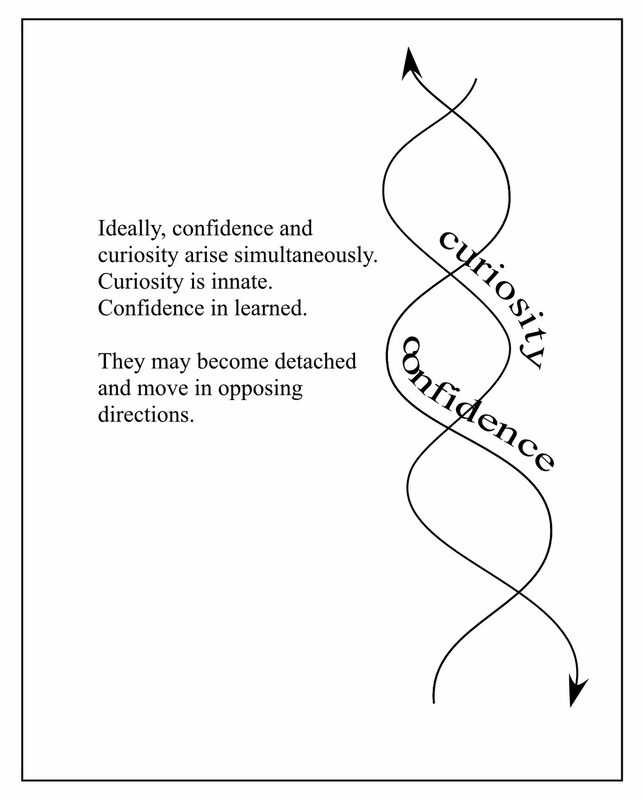 It evolves in each individual through countless interactions with physical reality driven by natural curiosity. And so the two are entwined except in the case of delusion. In the US, our children have supreme confidence and a near complete lack of curiosity about so many things that matter. What can you call that but delusion? And yet, it is a delusion that serves our economic masters well. We have become a nation of compliant consumers ready to shop and buy and relinquish our souls and our children's souls for the latest gizmo. When we see the interconnectedness between all things we see that whatever we do has the potential for lasting a long time. When we set something in motion through anger, it may ripple throughout human culture having immense and tragic effect, but a craftsman in contrast applies his or her energy to creating things that have the potential of serving, of causing intellectual reflection, and giving pause. We have the potential to redirect through the creation of beauty and the expression of greater purpose. What we create has effect both within our own lives and in the culture at large, and what we make has those powers even when we ourselves are no longer in physical form. Engage the world. Incite curiosity. Instill genuine confidence. In the photo below, you can see some the many cards I have received from the students at the Clear Spring School. I am feeling the need to get back to teaching, but also knowing the need to nurse my hand back toward health. Richard Bazeley sent photos of his student's math facts and friendship boxes made in Australia, and it is very nice to see the wisdom of hands being a shared experience on the nearly opposite sides of the globe. As at Clear Spring School, the math facts boxes were planned for use in collaboration with the core classroom teachers. 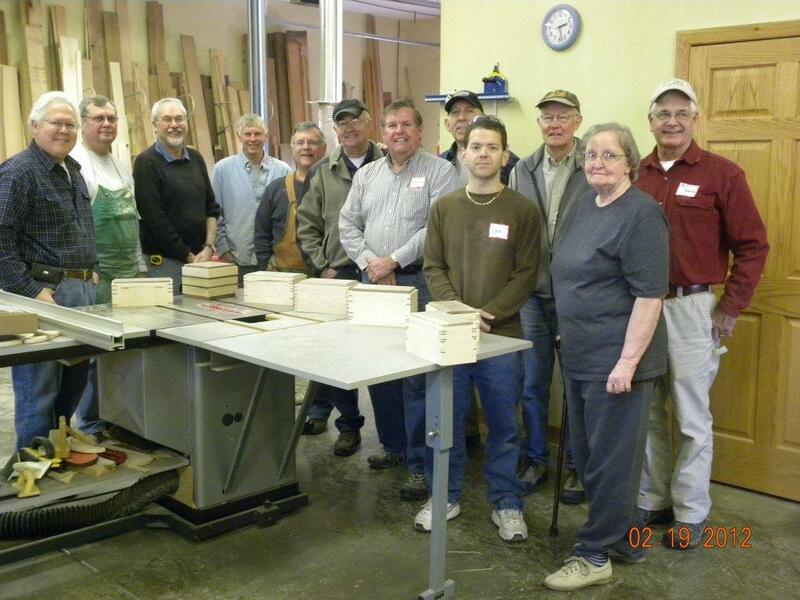 The friendship boxes were made in several grade levels with the upper grades making them of hardwood. I am recovering well from my table saw injury. This was my first time to go to the ER in over 36 years of woodworking. Here is my report. My thumb was the most badly injured with a gouge taken from the nail and tip, but leaving the nail base undisturbed. It will heal in time to normal appearance and use. The pointer finger was shredded on the tip and flaps of skin are now secured with steri-strips and are well on the mend. Same with middle finger and the next. My little finger was uninjured. You can see that I was very lucky, and that I will make a complete recovery. 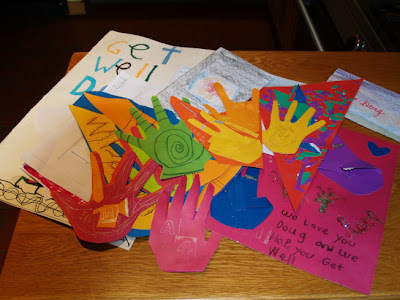 The students at school have made get-well cards for me, and it is nice to know that I am cared about and that I have been missed. One of the things that I find surprising but that I perhaps should not is the very strong connection between my emotions and the injury of my hand. Frank Wilson had written about this connection in his book, The Hand. He had described working with musicians who could no longer play their instruments. He notes "when personal desire prompts anyone to learn to do something well with the hands, an extremely complicated process is initiated that endows the work with a powerful emotional charge." So my injury is an emotional as well as physical set-back, affecting me in ways that take some time to process, and may lead in time to a better understanding of myself. I am still slowly recovering from my table saw injury, and finding that with fingers disabled, my mind is less acute. Should that come as a surprise to anyone but myself? I have tried dictation software but find that the corrections take nearly as much time as hunting and pecking away on the keyboard in the first place. So who knew that injuring my fingers would have such impact on the clarity of my thoughts? K. Anders Ericsson, Psychologist at Florida State University, proposed the 10,000 hour rule that was popularized by Malcolm Gladwell in his book Outliers. According to the rule, it takes 10,000 hours to become truly expert at something whether playing chess, hockey, or viola. Gladwell offered the Beatles as an example. Ericsson offered as his first example two Hungarian educators, Lázló and Klara Polgár, who homeschooled their three daughters to become top ranked women's chess champions. The Polgárs wanted to challenge the notion that women couldn't succeed in fields that require spatial thinking, like chess. Their youngest daughter became a grand master at age 15. While the 10,000 hour rule may be a generalization, it is an interesting tool through which to examine American education. By the time a child has attended school from kindergarten through high school he or she will have been in school a total of 16,380 hours (13 years times 180 days times 7 hours per day), time enough to become expert at something and at least well practiced at something else, but what too many children learn in school is that they don't like it much, and that there is no passion to be found within it. They may fill seats while their minds wander. Doing something for 10,000 hours leads nowhere if he child's attention is not purposefully engaged. Take TV for an example. Can you imagine what our schools might become if they were more clearly targeted toward the accomplishment of greater things that captured the interest and attention of each and every child? A shop teacher in South Carolina wrote to ask if I knew of some way to help. His program is being eliminated. I had hoped that we were at an end of such foolishness. If you read the Wall St. Journal, the New York Times, the Boston Globe, or the Washington Post, you would know that the US faces a serious shortage of skilled labor. Jobs calling for integrated skills of hand, mind, and eye, are going unfilled even as our nation still wrestles with serious unemployment problems. Students are accumulating huge debts from college and then graduating to find no jobs waiting for those who do not have practical skills. Here is the way higher education too often works. 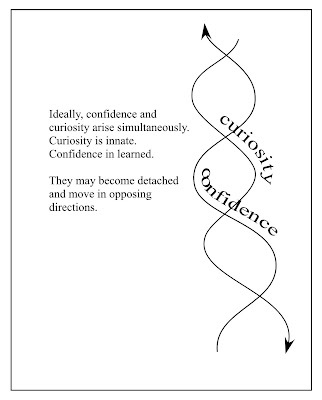 Over 30 years ago Howard Gardner described the range of our "multiple intelligences." 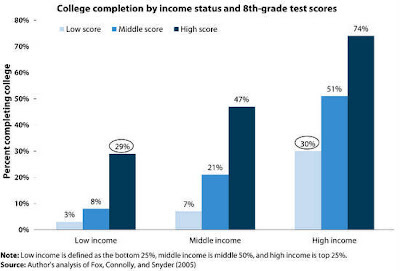 College admission is based on just two "intelligences", mathematics and verbal skills. College success and advancement toward subsequent degrees are based primarily on verbal skills. Creative hand skills and conceptual modeling are considered unimportant to many in the highest levels of academia. To proceed toward advanced degrees takes a further cut from the range of multiple intelligences, leaving those with verbal skills at the top of the educational hierarchy where PhDs routinely make decisions about the future of education that adversely affect all kids. You can listen to my most recent interview on Paul Preston's Ed Talk Radio Here.